Some examples of designs for current and in-development websites. 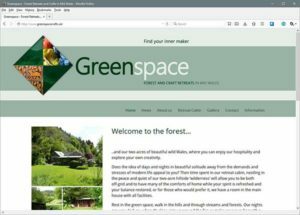 Design for Greenspace – Forest and Craft Retreats in Mid Wales, running ‘off-grid’ retreats for those seeking peace and quiet in beautiful rural landscape, plus craft tuition in traditional pottery, spinning and weaving. 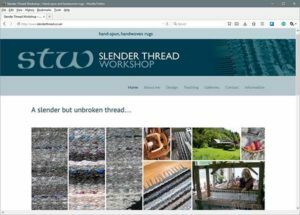 Design for Slender Thread Workshop website promoting the work of designer maker Shirley Elwell, based in rural Mid Wales. She specialises in producing woven rugs using traditional methods from choosing initial materials to the finished item, undertaking both special commissions and providing teaching courses. 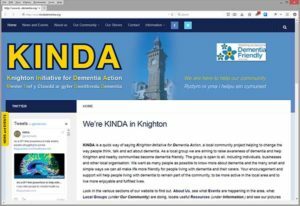 Design for KINDA (Knighton Initiative for Dementia Action), a local community project based in Knighton, Mid Wales, helping to change the way people think, talk and act about dementia. Visual identity developed for use on website and for print and publicity media. 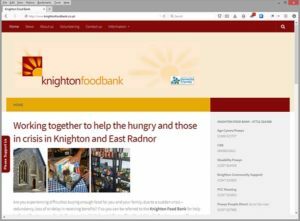 Website design for the Knighton Food Bank, an independent community and volunteer run organisation set up by local group Churches Together to provide a food bank service for people in the Knighton and Presteigne area in Mid Wales. 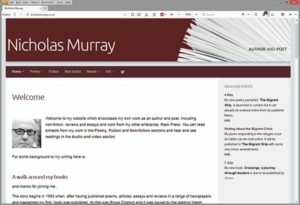 Design for poet, author and journalist Nicholas Murray to publicise his writing and associated work, with connection to PayPal based book / pamphlet buying for readers and customers. 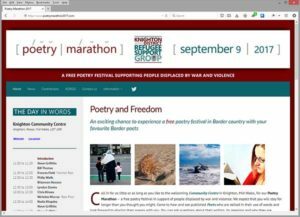 Design for site promoting a poetry festival in Mid Wales called Poetry Marathon, presented by community based Knighton and District Refugee Support Group. The single day event (September 9th 2017) will raise funds to help people displaced by war and violence. The project also includes social networking feeds and a variety of promotional and corporate graphics. 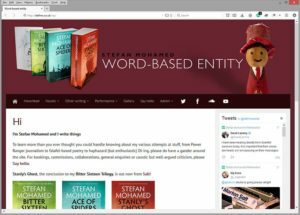 Website design for novelist and poet Stefan Mohamed (StefMo) to promote his writing and journalistic work, with connections to his various social media feeds, and active displays of sound and video clips. 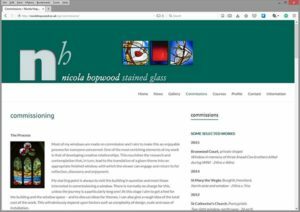 Site design for stained glass designer Nicola Hopwood to showcase current and past projects, and promote her courses teaching techniques and process. Project included a new visual identity, logo and associated print and publicity. 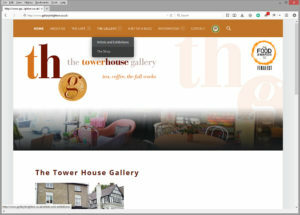 Website design for Mid Wales based coffee-house business the Tower House Gallery providing speciality tea, coffee and snacks plus art and crafts. Project included a new visual identity, logo and associated print and publicity. 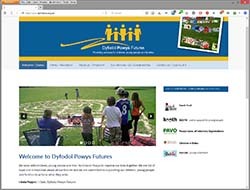 Website design refresh for Mid Wales based third sector organisation Dyfodol Powys Futures, working to improve the lives of young people in Powys. Project included updated visual identity, logo and associated print.